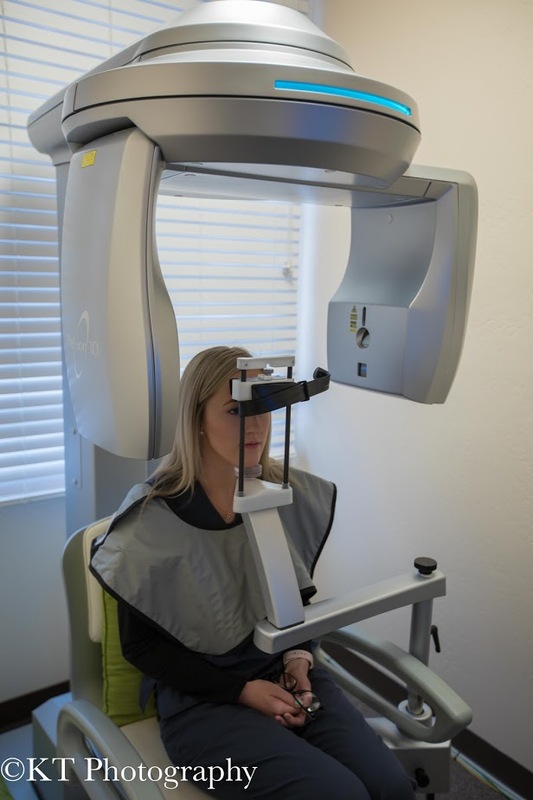 We are proud to be one of the few practices in Yavapai County that use Cone Beam™ digital imaging technology. Think of this as a three-dimensional X-ray that is FAR more accurate than traditional X-rays, takes less time, and does all this with much less radiation exposure. One of the great advantages of using cone beam images, when diagnosing and evaluating treatment options, is the dentist’s ability to clearly see the patient’s anatomy in 3-D. Instead of traditional flat, two-dimensional image, we can see any angle and structure we want. This higher precision leads to superior dental treatment, especially regarding implant placement and other oral surgeries. We also use panoramic digital imaging. 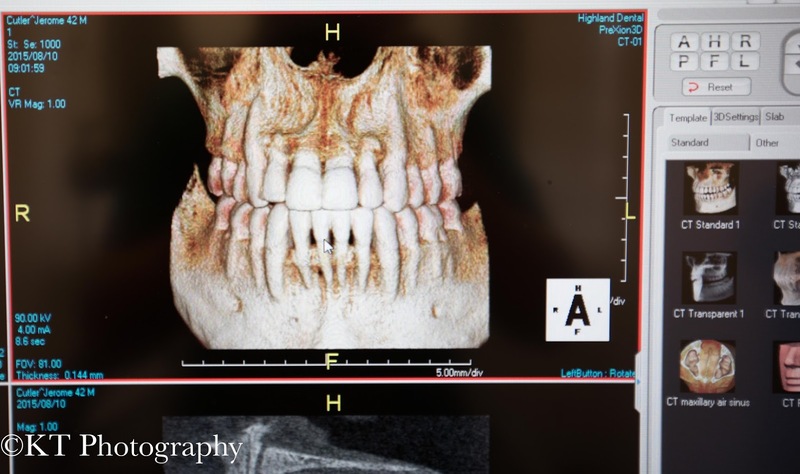 In panoramic imaging, a single X-ray is taken of your entire mouth with a digital sensor. This includes all of the teeth in the upper and lower jaws. This image is then downloaded into our computer for immediate viewing. You get an enhanced, easy-to-see image with 75% less radiation exposure than conventional X-rays. Patients no longer need to wait for images to develop, and no chemical waste is produced. One of our core values is to make sure the patient is properly informed about his or her oral health. This allows the patient to make the best informed decision about their health. We desire to include our patients in the treatment planning process so that they may understand why we recommend certain treatments. One of the ways we bring this about is through the use of a small intra-oral camera. This device is a miniature video camera that displays a high resolution picture of the inside of your mouth. This allows you to see what work needs to be done, and why, and which teeth are doing fine. You then become a participant in your own treatment plan. Digital dental imaging to design and fabricate, from a 3-D printer, dental restorations is at the forefront of 21st century dentistry. Dr. Barrett has had extensive experience in digitally scanning, designing, and 3-D printing dental restorations, such as crowns, and prosthetics. We use this technology at Highland Dental. These restorations fit significantly better in your mouth than restorations fabricated from traditional plastic type impressions. They are 3-D printed so accurately that our patients often cannot tell the difference between their natural teeth and these fabricated ones. The shade is also outstanding on these restorations. They truly mimic the natural shade of your other teeth. 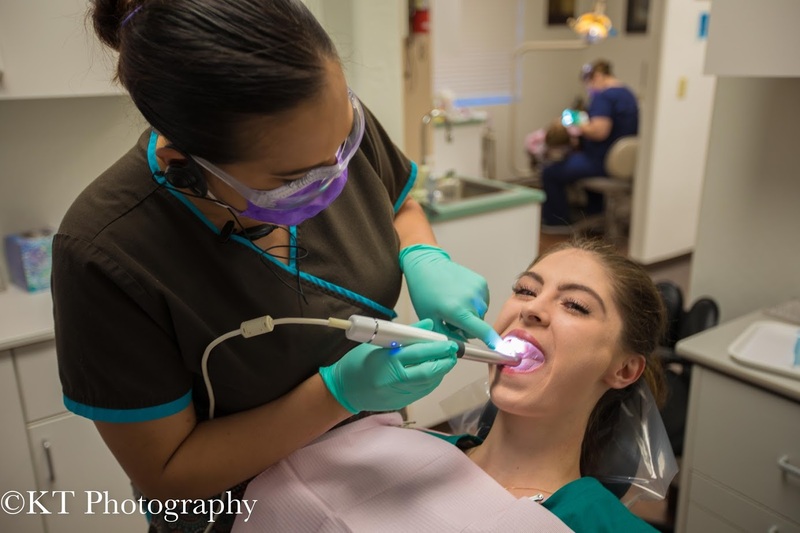 We use state of the art laser technology at Highland Dental. This type of laser can greatly minimize discomfort after an operation if gum surgery is indicated. It also promotes faster healing of the gums and other tissues than traditional methods. Call (928) 775-7433 for a complimentary consultation and learn about our advanced technology in Prescott Valley.